Colourful Acadian group Les Hôtesses d’Hilaire shared ECMA wins with pop star Ria Mae, banjo player Old Man Luedecke and a host of Atlantic Canadian talent. 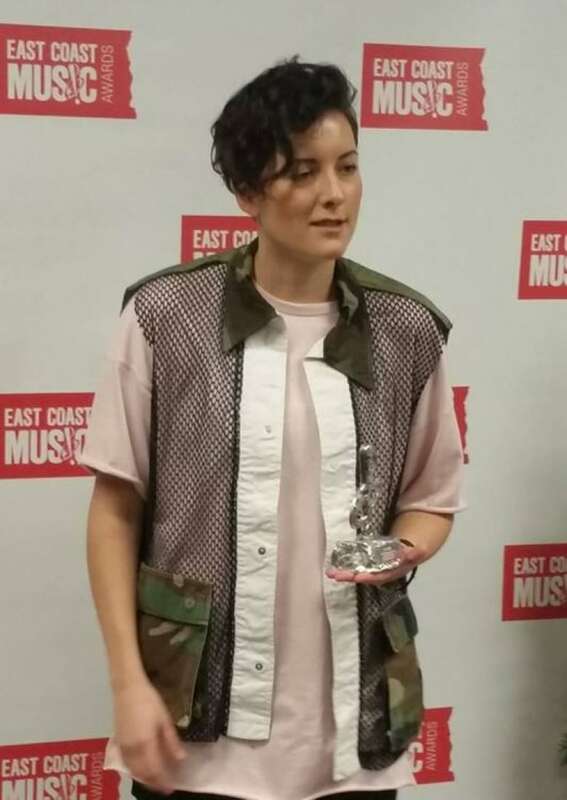 A mix of old favourites and brash newcomers took home the honours at the East Coast Music Awards gala on Thursday night in Saint John. For the third year in a row, the gala was held at the start of the annual event, a move that organizers say spreads the festivities over several days. 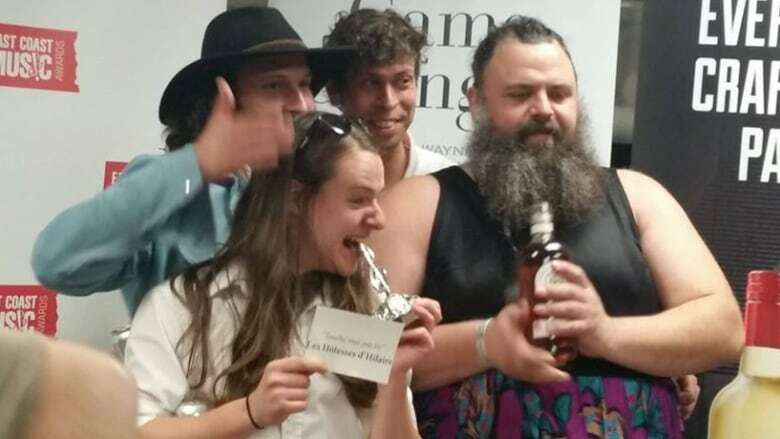 The first multiple winner of the event was the wild Acadian band Les Hôtesses d'Hilaire, taking home the Group Recording and Francophone Recording of the Year awards for the album Touche-moi pas là! With larger-than-life frontman Serge Brideau doing the entertaining and satire, and the band providing some catchy prog rock, they've conquered both French and English audiences on the East Coast and into Quebec. 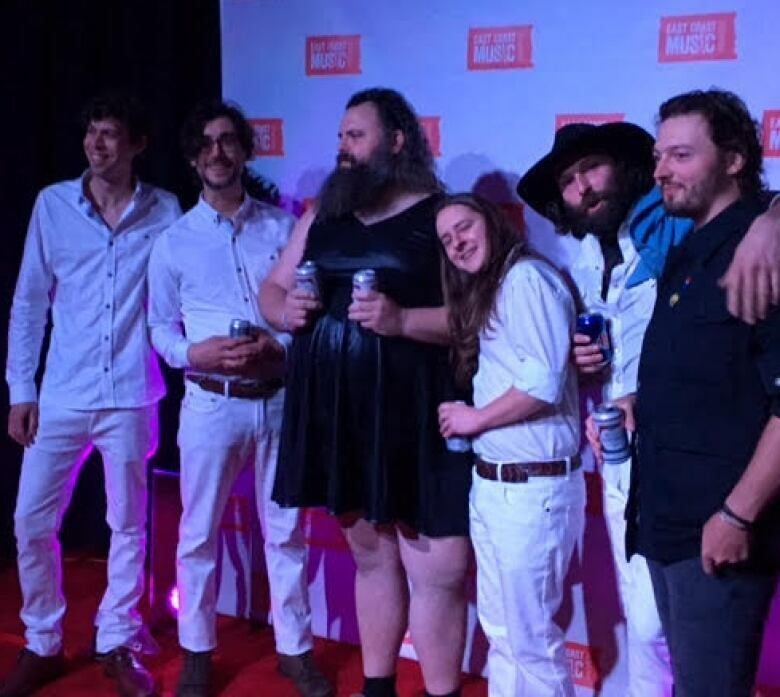 The group's typically zany performance on the awards show needed no translation, with Brideau sporting a full beard, full girth and a full skirt. "It's the golden age for Acadian music," said Brideau. "Lisa LeBlanc, Radio Radio, Les Hay Babies, Caroline Savoie, Cy, Kevin McIntyre, they are shining all over the world." The coveted Album of the Year prize went to Nova Scotia's banjo stalwart Old Man Luedecke for Domestic Eccentric. Song of the Year went to respected hip-hop artist Classified, for No Pressure. A frequent collaborator with East Coast artists, he also produced the album that won Solo Recording of the Year, Ria Mae's self-titled release. "I'm just so glad I met Classified," said Mae. "He's always looking out for me, he's like my big brother. Everything I win is a win for him." P.E.I. 's War Horses won Indigenous Artist of the Year. The Island's Lennie Gallant won another, the Fans' Choice Entertainer of the Year, while the Halifax group Hillsburn was the winner for Fans' Choice Video. Artists from the host province also won two more awards. Fredericton's Tristan Horncastle was the winner for Country Recording of the Year, and Moncton's the Motorleague won Rock Recording of the Year. The Bucky Adams Memorial Award, which goes to R&B and soul, went to Ced, Marty & Dave of Halifax. That city's alternative rock band Like A Motorcycle won for Rising Star Recording of the Year. Another 13 awards are still to come, and will be presented at different showcases throughout the city. The ECMAs wrap up on Sunday.